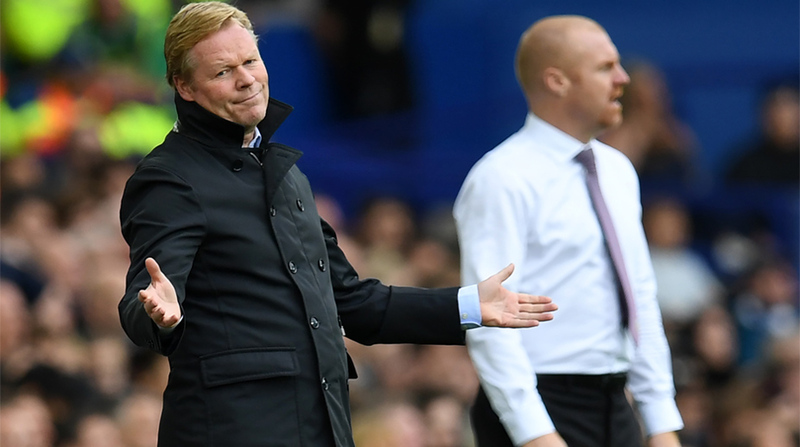 The struggling Toffees are languishing at 16th place in the Premier League table! High-flying Burnley stunned Everton 1-0 at Goodison Park to pile the pressure on embattled manager Ronald Koeman as the Toffees slumped to their fourth loss of the Premier League season and remain dangerously close to the relegation zone. Saturday’s result meant Burnley climb up to sixth in the league table with 12 points while struggling Everton slip to a lowly-16th place. Koeman dropped club icon Wayne Rooney for the tie, starting Oumar Niasse for the first time this season but the Senegalese forward was unable to replicate last week’s two-goal heroics against Bournemouth in a fruitless display at Goodison Park. Everton started brightly and Niasse saw a fierce shot well saved by Burnley keeper Nick Pope but the biggest chance of the first-half fell to club-record signing Gylfi Sigurdsson. The Icelandic midfielder, who is yet to score in the Premier League since his £40 million move from Swansea, saw his tame effort from inside the box easily gathered by Pope to give the away side a reprieve. And the Clarets made Everton pay for their profligacy in the 21st-minute when Jeff Hendrick finished off a well-worked move to silence the home crowd. The second-half began the Toffees increasing the tempo of the game in a bid to seek the equaliser but despite concerted pressure, Sean Dyche’s men held firm for a valuable win. With the International break commencing, Everton have time to regroup but whether their manager still be at the club when they travel to Brighton and Hove Albion on October 15 remains to be seen. For the moment, the club are backing the Dutch tactician but if results against ‘lesser opposition’ continue to go the opposite way, it may not be long before he becomes the second Premier League manager after Frank de Boer to get the sack this season.